Help Casey Jones a friend of April O’Neil in TMNT, take down the evil ninja robot with his hockey stick on top of a water tower. Collect more puck ammo, points, and pizza for health. 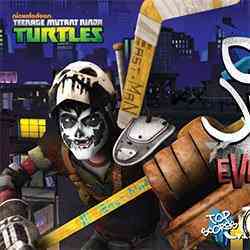 Have fun and enjoy playing Online Casey Jones – TMNT.